Flip a coin. If heads Dark link will do a slash that does 30. If tails then Dark link and Dark Toon link will both do a slash witch is 30x5. Wich does 150. 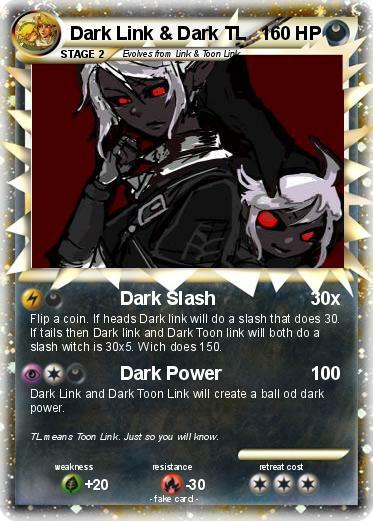 Dark Link and Dark Toon Link will create a ball od dark power. Comments : TL means Toon Link. Just so you will know.